Whenever you find a slow-running plumbing drain, whether it’s in your sink or your bathtub, it could be a sign that the drain has been blocked or clogged by something. Look closely at the areas around your sink and kitchen and bathroom fixtures. If there is too much water there, then it might be a sign that you’re plumbing has started leaking. These leaks might not seem like a big deal at first, but if you let them go unaddressed for too long, they can cause enormous problems for you, your family, and your home. Do you take good care of your drains? Whenever you find a slow-running drain, whether it’s in your sink or your bathtub, it could be a sign that the drain has been blocked or clogged by something. The leaks could be caused by these obstructions, and the pressure could eventually cause your pipes to explode. If normal chemical solutions can’t unblock your drains, then you should consider enlisting the professional help of the expert plumbers from Master Plumbing. Earthquakes aren’t all that common in Maryland. At least, most of the time we don’t feel anything. But that doesn’t mean the soil isn’t moving. Whether it’s due to soil erosion or mudslides due to constant downpours of spring rain, your plumbing could start developing a leak. Your pipes might damaged even by the smallest movement of the soil, so be sure to inspect them after every storm. Don’t forget to take a close look at all of your appliances that use a lot of water. The seals on them might have broken, which can also cause a problematic leak. Whenever you inspect all of your plumbing, don’t forget to make sure all seals are still intact. Given enough time, your pipes will simply start to wear down. 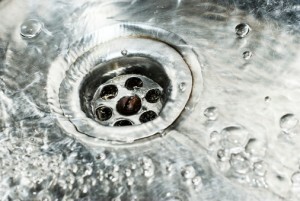 This could be the biggest reason your plumbing has a growing leak. A small crack can turn into a larger fracture, which will make any necessary repairs much more expensive and time-consuming. Don’t let this nightmare happen to you! Stay ahead of any future problems with timely maintenance. This entry was posted on Friday, May 18th, 2018 at 3:20 pm. Both comments and pings are currently closed.